The Reliable Model G6-56 Concealed Quick Response Sidewall Standard Spray Sprinkler is an attractive, concealed sprinkler assembly that utilizes a push-on/pull-off cover plate assembly. The sprinkler assembly is shipped with a protective cap. The flat cover plate is attached to the skirt using 57°C ordinary temperature classification solder. The sprinkler is easily installed into the sprinkler fitting using the Model G6 Sprinkler Wrench. When the ambient temperature rises, the solder holding the cover plate melts, allowing the release of this part and thus exposing the sprinkler inside to the rising ambient temperature. The Model G6-56 utilizes a Quick Response soldered link. This quick response enables the sprinkler to apply water to a fire sooner than standard response sprinklers of the same temperature rating. This sprinkler is listed for a maximum service pressure of 12,0 bar. Flat cover plate (Solid or Perforated). Sprinkler is approved for 12,0 bar applications. Quick response, sidewall standard spray sprinkler. 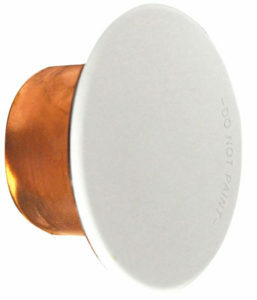 Push-on/pull-off, sturdy convenient flat cover plate. Sprinkler, shipped complete with factory installed protective cap. Sprinkler assembly and cover plate packaged separately. Nominal 5.6 (80 metric) K-Factor. ¼” (6 mm) cover plate adjustment. Cover plate available, either solid or perforated, in a wide variety of colors and finishes. 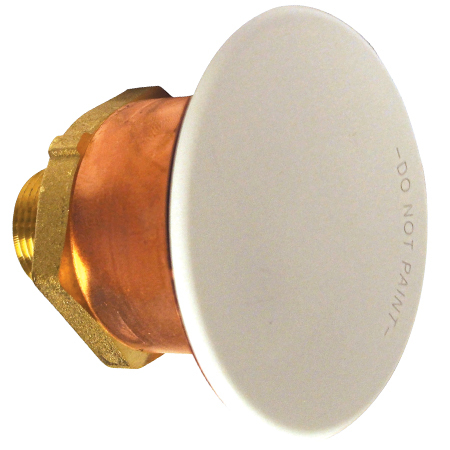 The Model G6-56 sprinkler is intended for installation in accordance with NFPA 13. This sprinkler is especially well suited for use in student dormitories, hotels, hospitals and health care facilities. Listed by Underwriters Laboratories Inc. and UL certified for Canada (cULus). Klassificering Sprinklertemperatur Täckplatta Max. omgivningstemp.